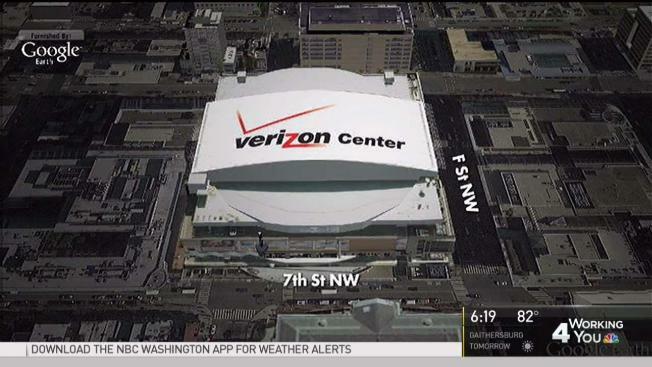 The Verizon Center in downtown Washington, D.C., has a new name. Starting Wednesday, the venue will be known as the Capital One Arena. Monumental Sports & Entertainment, which owns the 20,000-seat home of the Washington Wizards and Capitals, published a promotional video Tuesday with the the new name and signage. Capital One recently acquired naming rights for the arena. Information on the cost was not disclosed immediately. The venue's current naming deal was scheduled to end in 2018. This is the venue's third name in two decades. Monumental Sports & Entertainment says $40 million will be invested in improving the arena. The Washington Business Journal reported experts have estimated Monumental could get around $5 million a year for the downtown arena, and the organization was seeking a 10- to 15-year deal.